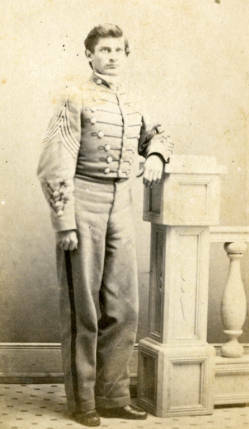 Biography & Genealogy: Thomas Gordon Hayes, Class of 1867: New Market Cadet; Corporal, Co. B. Genealogy: Born- January 5, 1844, in Anne Arundel Co., Md. Father- Rev. Thomas Chilton Hayes; Mother- Juliana Gordon. Pat. Grandparents- unknown. Mat. Grandfather- William Gordon; Mat. Grandmother- Martha Corbin. Never married, no children. Careers- Lawyer-Legislator- U.S. District Attorney-Mayor of Baltimore. Died- August 27, 1915, in Oakland, Md.